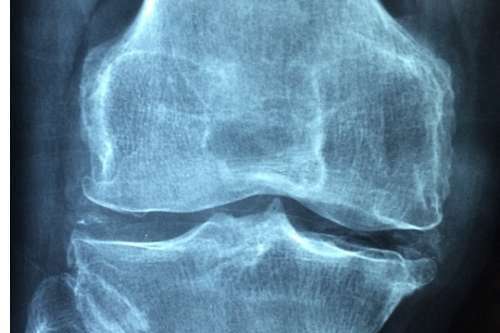 Can we regrow a meniscus with stem cells? Yes, of course. A ‘living bandage’ made from stem cells, which could revolutionise the treatment and prognosis of a common sporting knee injury, has been trialled in humans for the first time by scientists at the Universities of Liverpool and Bristol. Meniscal tears are suffered by over one million people a year in the US and Europe alone and are particularly common in contact sports like football and rugby. 90 per cent or more of tears occur in the white zone of meniscus which lacks a blood supply, making them difficult to repair. Many professional sports players opt to have the torn tissue removed altogether, risking osteoarthritis in later life. The cell bandage has been developed by Bristol University spin-out company Azellon, and is designed to enable the meniscal tear to repair itself by encouraging cell growth in the affected tissue. A prototype version of the cell bandage was trialled in five patients, aged between 18 and 45, with white-zone meniscal tears. The trial received funding support from Innovate UK and the promising results have been published today in the journal Stem Cells Translational Medicine. Professor Anthony Hollander, formerly of Bristol and now Chair of Stem Cell Biology at the University of Liverpool and Founder and Chief Scientific Officer of Azellon, said: “The cell bandage trial results are very encouraging and offer a potential alternative to surgical removal that will repair the damaged tissue and restore full knee function. Stem-cell-based, tissue engineered tracheal replacement in a child: a 2-year follow-up study. Science daily is an excellent source for medical article and studies. I’ve received their feed for quite a while now. Here, are 3 stem cell articles from today. Blood stem cells, besides turning into hema type cells can also become white blood cells. Cardiac stem cells from bone marrow can heal the heart. This we’ve known since the late 90’s but additional confirmation is always appreciated. Brain stem cells not only can turn into brain and nerve cells but they also clear out the garbage in the brain and keep the cells in a perpetual stem cell state. This is the first time Science Daily has had three stem cell articles in their feed. The world is turning to stem cells. Are you? Scientists have revealed an unexpected role for hematopoietic stem cells: They do not merely ensure the continuous renewal of our blood cells; in emergencies they are capable of producing white blood cells “on demand” that help the body deal with inflammation or infection. This property could be used to protect against infections in patients undergoing bone marrow transplants, while their immune system reconstitutes itself. Therapy with cardiopoietic (cardiogenically-instructed) or “smart” stem cells can improve heart health for people suffering from heart failure. This is the first application in patients of lineage-guided stem cells for targeted regeneration of a failing organ, paving the way to development of next generation regenerative medicine solutions. Spring cleaning in your brain’s stem cells? Deep inside your brain, a legion of stem cells lies ready to turn into new brain and nerve cells when you need them. New research shows the vital role of a type of internal “spring cleaning” that both clears out garbage inside the cells, and keeps them in their perpetual stem-cell state. Stem cells from bone marrow or fat improve recovery after stroke in rats, finds a study published in BioMed Central‘s open access journal Stem Cell Research & Therapy. Treatment with stem cells improved the amount of brain and nerve repair and the ability of the animals to complete behavioural tasks. Stem cell therapy holds promise for patients but there are many questions which need to be answered, regarding treatment protocols and which cell types to use. This research attempts to address some of these questions. Rats were treated intravenously with stem cells or saline 30 minutes after a stroke. At 24 hours after stroke the stem cell treated rats showed a better functional recovery. By two weeks these animals had near normal scores in the tests. This improvement was seen even though the stem cells did not appear to migrate to the damaged area of brain.